I drove Emily into downtown LA so she could pick up some tickets to the up-coming Glee Live show. Even on a Saturday the traffic back into Pasadena was heavy, so we decided to cool our heels and have dinner before heading home. 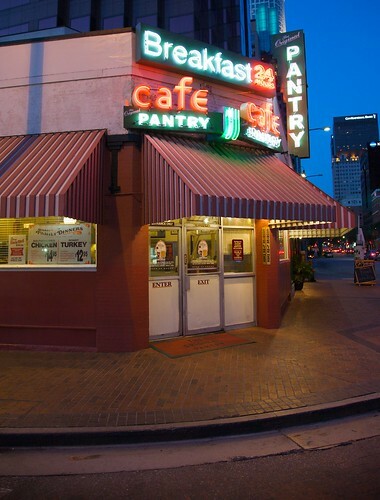 The Pantry is much more famous for it’s long LA history than it’s food. It was opened in 1924 and is currently owned by former Mayor, Richard Riordan. Next Post iPad – Infantilizing Hardware?